I am intrigued by Stumpwork. I really need to try my hand at it. It looks so complicate. The rich texture produced by this type of embroidery raises the piece to another level. BananaAmbush at Craftster.org claims that she is a novice embroiderer and new to stumpwork. Sorry…I don’t believe her! 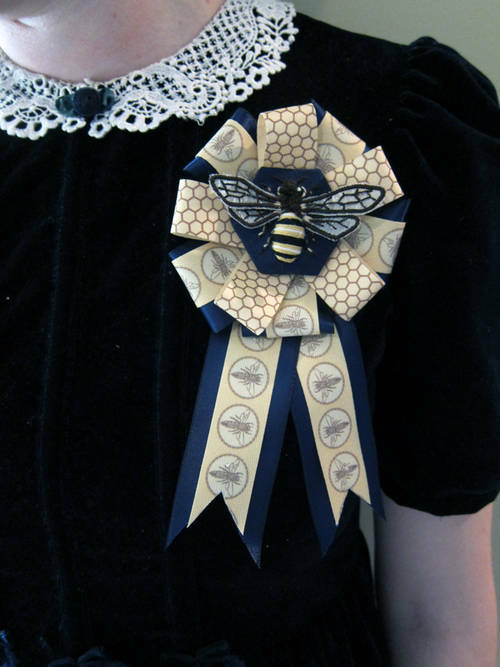 Her beautiful Bee Ribbon is in celebration of Sherlock Holmes’ birthday but I think it should be worn all summer long.